Travis Morley Associates is a professional limited company who have been supplying specialist legal consultancy services* since 2010. The company was originally established by Neil Morley, our Managing Director, with a view to promoting legal advice on Taxi Licensing Law to all members of the trade after witnessing a direct lack of adequate guidance on the law. Since inception we have expanded our service areas to include Alcohol & Entertainment Licensing Law, Gambling & Lottery Licensing Law, Data Protection & Information Law and Contract & Commercial Law. 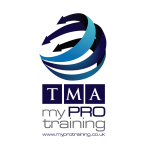 We are also pleased to offer, within the Travis Morley Associates family, MyProContract, MyProSearch and MyProTraining. Travis Morley Associates is always looking to enhance and improve its services to meet our clients needs or requests. Our key aim is to empower. To achieve this we have committed ourselves to ensuring that our clients receive the best quality legal advice, assistance and representation. We operate from offices which are located centrally within the East Midlands and supply our services worldwide. Travis Morley Associates is dedicated to assisting our clients whenever, wherever and however required. If you want a "tried, tested and proven" legal consultancy service, Travis Morley Associates is here for you.